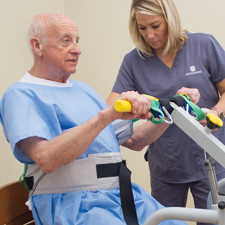 Our reusable mutli-use belt sling is designed to move a patient easily and comfortably. 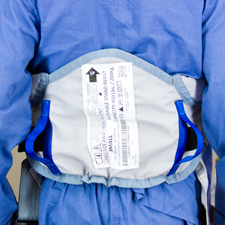 Composed of breathable material, this sling has a unique ‘Sling Management System’ which adapts to electronic inventory management systems minimizing the guesswork in sling size selection. 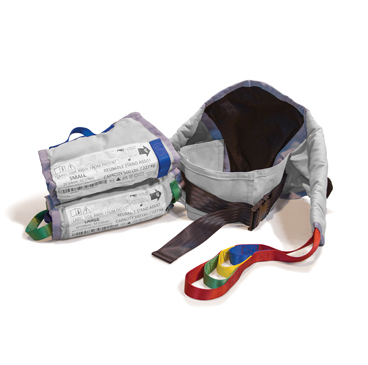 This sling incorporates a non-slip padded back panel, multi-loop adjustable interface and is color coded for sizing. Maximum patient weight is 500 pounds. Place the sling around the patient’s waist. 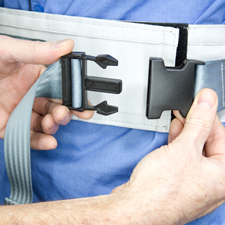 Engage the velcro and buckle the belt to ensure the patient’s safety. 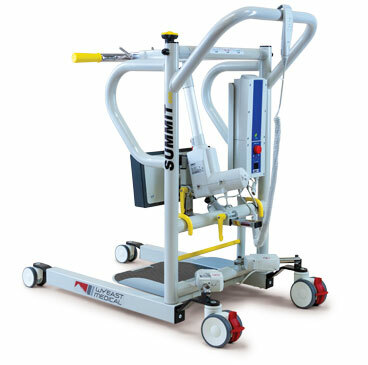 Stay in control as you transfer patients safely.